San Antonio's biggest tourist attraction is the Alamo, made famous by countless movies about the Battle of the Alamo in 1836 and the legendary Jim Bowie and Davy Crockett. But once you've taken in the history at the Alamo, walked along the Riverwalk and checked out its restaurants and shops, you'll be looking for something else to see. San Antonio's great museums should be on the top of that list. Get the scoop on the biggest and best museums in San Antonio, from children's museums to historic and art museums. With arguably one of the most impressive collections of art in the entire state of Texas, the McNay is home to sculptures, paintings and other genres of art by many celebrated artists. It contains works by such artists as Henri Matisse, Paul Cezanne, Vincent van Gogh, Pablo Picasso and Georgia O'Keeffe. The collections include contemporary, 19th- and 20th-century artists. An entire day of fun awaits your children when you take them to the DoSeum, a state-of-the-art, hands-on museum for kids that opened in 2015. Permanent exhibits include Big Outdoors, Sensations Studio, Explore, Little Town, Innovation Station, Spy Academy and Imagine It. The museum hosts birthday parties for a fee. Sound like fun even for grown-ups? It might be but make sure you bring the kids -- adults are not granted admission without a child. Part of the University of Texas at San Antonio and located downtown on the university's Hemisfair campus, the Institute of Texan Cultures features several exhibits that trace the history of the San Antonio area back to its roots, which includes people of Mexican, Spanish, German, Irish and other diverse cultural backgrounds. 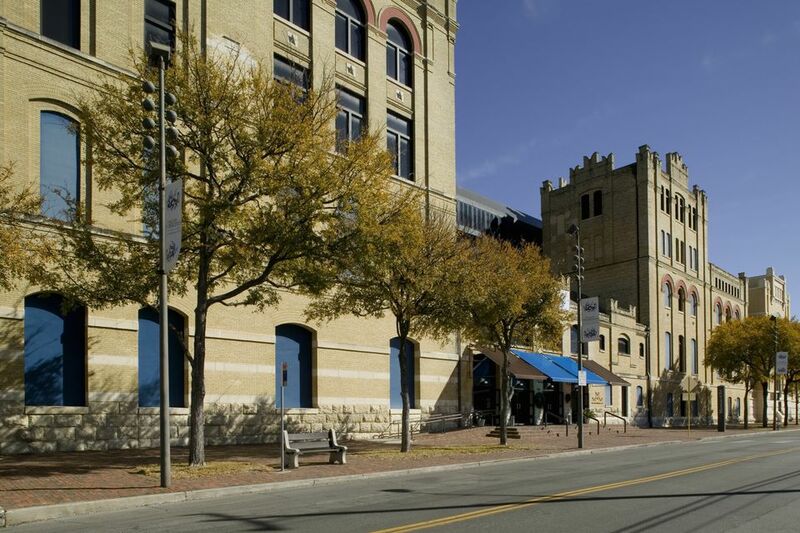 A great showcase for local artists, the San Antonio Art League & Museum is home to permanent exhibits, many of which express the history of the area, and traveling shows. The museum houses both traditional and contemporary works. The art league and museum date to 1912 and is the oldest art organization in San Antonio. The San Antonio Museum of Art, known locally as SAMA, houses one of the best collections of art in all of South Texas. Permanent collections include Greek, Spanish, Asian and Latin works of art. Traveling shows are on display for limited times; check the website to see what's on exhibit when you plan to visit. The Witte Museum is home to many cultural exhibits for adults, but kids get in on the fun, too, with the HEB Science Treehouse (which is actually fun for the adults, too). There is also a "backyard" area with several examples of log houses and cabins that early Texans called home. The Buckhorn is actually five museums in one, featuring Horns, Fins, Feathers, the Hall of Texas History Wax Museum, and several temporary and special exhibits throughout the year. Be sure to stop by the saloon, which is actually a cafe, for refreshments and visit "The Worlds Oddest Store," which is exactly what it sounds like. Arguably the most unusual of all of San Antonio's museums is the Ripley's Believe It or Not! and Louis Tussaud's WaxWorks housed together on Alamo Plaza. The double attractions also host birthday parties, private events, and lock-ins.